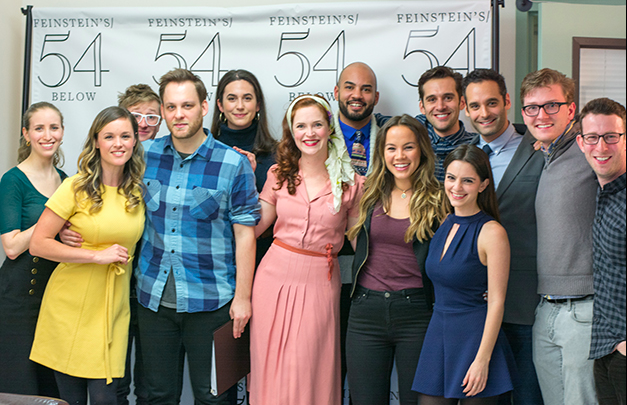 To most, the potential for nuclear war may not scream “musical theatre,” but the Cuban Missile Crisis of 1962 is the inspiration for Nick Blaemire and Kyle Jarrow’s new musical Fallout, which will take shape at Feinstein’s/54 Below early next month. “It’s an idea that Kyle had that I just was so excited about and am still,” Blaemire tells Playbill.com. “I just am constantly thinking about it. It’s basically a surrealist look at the Cuban Missile Crisis that week in 1962 when the world really could have possibly ended. The show starts with JFK giving the first televised presidential speech about the conflict, and the show is [seen] through the eyes of an 11-year-old boy who lives in Westchester, NY, who is getting this information through his parents, and they live next to a family who is reacting a bit differently to the information. The piece, only seen before in a closed-door reading, will come to life in a concert version Feb. 9. And, with a score that spans from ’60s doo-wop (think Beach Boys) to ’60s rock (think Rolling Stones), the writers — and the audience — are getting the chance to see a more-realized version of the new musical. Adam Chanler-Berat, who previously workshopped the piece, plays the young boy at the heart of Fallout, Michael, who takes refuge in his imagination. Characters like Superman become his hero in a time of crisis, and real-life figures such as Walter Cronkite become his imaginary friend in a time of need. “The thing that we’re constantly talking about is how do you develop a show in the surplus of new shows that are popping up these days? 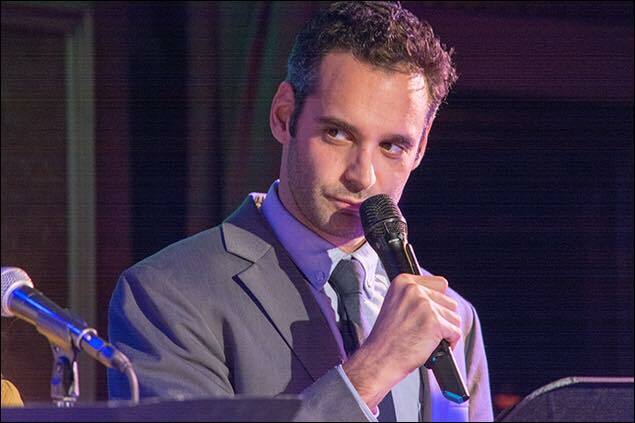 And how do you get the right people in the room and develop it the right way without selling yourself down a future that you aren’t totally sure is right for it?” explains Blaemire, whose experience in musical theatre writing includes Glory Days, the Broadway musical that opened and closed on the same night. Though set in wartime 1962, the writers feel that Fallout is relevant to New York City 2016. “Especially living in New York,” Jarrow says, “this feeling of like, ‘Wow, we could die tomorrow.’ There really is that palpable sense, and this period of the Cuban Missile Crisis, it was kind of the first time, I think, that Americans really felt this sense of, ‘Oh my God, there can be a nuclear war tomorrow,’ and it just seemed like a really interesting way to look at that feeling and those questions: How do you deal with that possibility? And how do you go on living? And how does that affect the choices that you make? And, as a kid, how do you process all that? And, it all feels really relevant to now.